Why Total Body Conditioning Gym Waterloo? 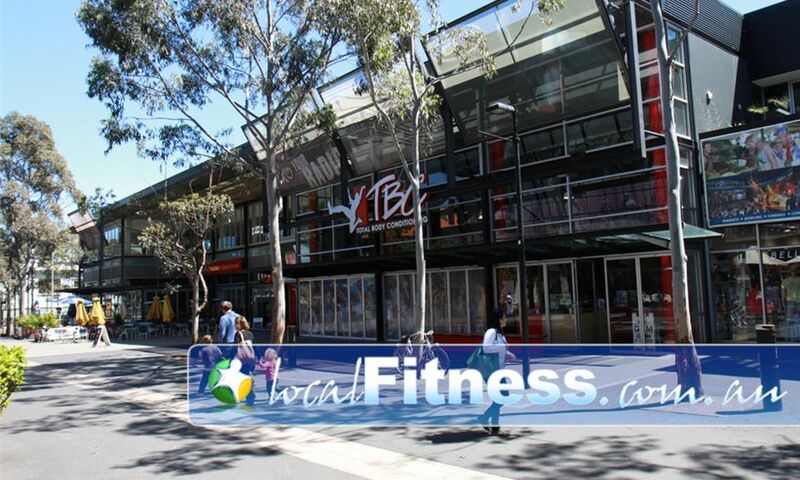 We are located at the Entertainment Quarter in Moore Park, Sydney and promote all aspects of a healthy lifestyle. TBC Gym located in Sydney's Eastern Suburbs combines all the features that you would expect from a quality gym plus lots more! Let us help you achieve your health and fitness goals. The TBC philosophy is founded upon a commitment to excellence in helping people be fitter and healthier through an Educated Approach, Fun, and The Right Attitude. We take pleasure in inviting you to experience the TBC Sydney gym, and the difference of our TBC concept. Total Body Conditioning gym in Waterloo is a unique and special fitness training environment providing a holistic approach blending design, fitness and entertainment. Fittingly in the heart of the Moore Park Entertainment Quarter, the stunning designer Waterloo gym provides eye catching style holding your attention with its range of fitness variety. As one of Sydney's designer gyms, the facility includes a rock climbing wall, indoor running track, convenient group fitness classes, immaculately clean luxurious bathrooms and a vision to create an entertaining and fun place to get active. A special atmosphere in the heart of the Moore Park Entertainment Quarters. State of the art strength training at TBC gym Waterloo. Join in on an energetic Waterloo Boxercise class. Indoor Sydney running track in our Moore Park gym. Waterloo personal training is an enjoyable and fulfilling experience. Perfect views of the designer gym, and the Moore Park Entertainment Quarters. Enjoy bike fitness classes in Waterloo. State of the art Cardio in our Moore Park gym. TBC gym will capture your imagination with our variety. Lunch classes are popular with the corporate crowd around Moore Park. Designer bathrooms with world class amenities. The TBC atmosphere helps form friendships that make our club experience more enjoyable. Everything here at TBC gym Waterloo is to compliment the element of training to add variety and fun to your training program. Here at our Moore Park gym, we stand at the forefront of athletic technology. Along with a wide variety of Waterloo personal trainers, the TBC gym includes an Altitude Training Centre, indoor running track, climbing wall with abseiling and aerial silks/tissu, and free space to train or dance. Vary your fitness with indoor rock climbing in Waterloo. Use our Waterloo aerobics room for your own private dance training. Our TBC superior conditioning attracts many fighter athletes. Intelligence is measured by decisions we make. At TBC Gym Moore Park, we believe that even by simply considering the fundamentals upon which our organisation has been founded you have made a wise choice. The membership base is capped at 1000 members allowing us to offer a quiet, non-threatening environment to do your workout in comfort and cater for your individual needs. We pride ourselves on our customer relationships, treating every member like one of the family, with many of our members attracted to our NO CONTRACT membership options.